Persian Rice Spice translates to, ‘advieh berenj.’ This advieh is a blend of five warm spices: cardamom, cinnamon, cumin, nutmeg, and dried rose petals. This spice blend adds a unique depth of flavor to the steamed white rice to create the Aromatic Rice that I serve with my Khoresh gheymeh, Loobia Polo ba havij, Kalam Polo, Adas Polo, and Zereshk Polo. This spice is not exclusively used for rice, I use it in several other recipes. Some dishes that you might want to try are: Kuku Bademjan, KuKu Sabzi, and of course my Tahchin. You will be able to find most of these spices in their ground form at Middle Eastern or Indian spice shops. I usually use a small coffee grinder to grind my own cardamom pods, whole; there is no need to remove the outer skin as some recipes imply. Cardamom “hel” is a ½ x ¼ inch spindle shaped pod, that is papery green or brown on the outside. There are small black seeds inside each pod. 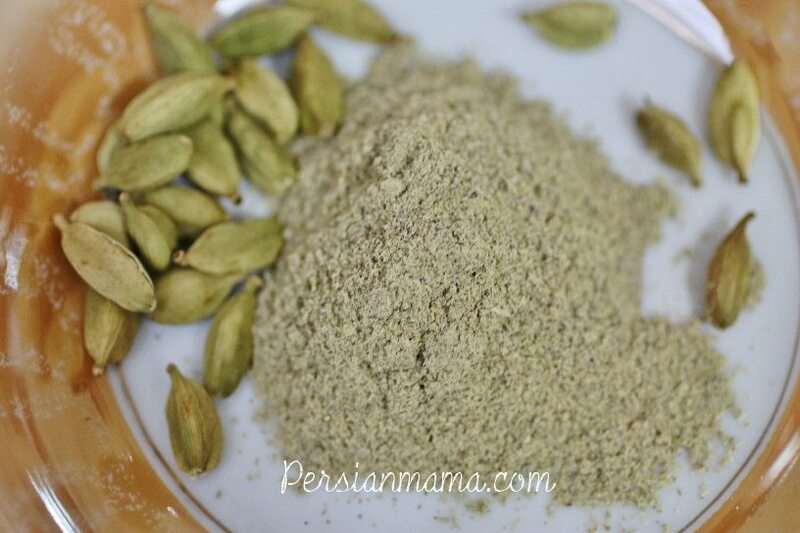 This aromatic spice is used in its powder form in many pastries and also in the Persian rice spice; 10 pods yield about 1 ½ tsp of ground cardamom. To make cardamom tea, add 4-5 whole pods to the tea pot along with the black tea leaves and brew as usual. Cardamom has antiseptic properties that when chewed promotes fresh breath. It is worth mentioning that there is also a black cardamom, or Indian cardamom, that is significantly larger than the green or brown cardamom and measures about 1 ½ x ½ inches. The black cardamom has a somewhat smoky flavor with much larger seeds and is used in savory dishes. A couple of these pods will be enough to add a wonderful flavor to steamed cumin rice and some sauces; remember to discard the pod when serving the dish. Cinnamon “darchin” is a universal spice that is used in the ground form in a lot of Persian sweets and many savory recipes. 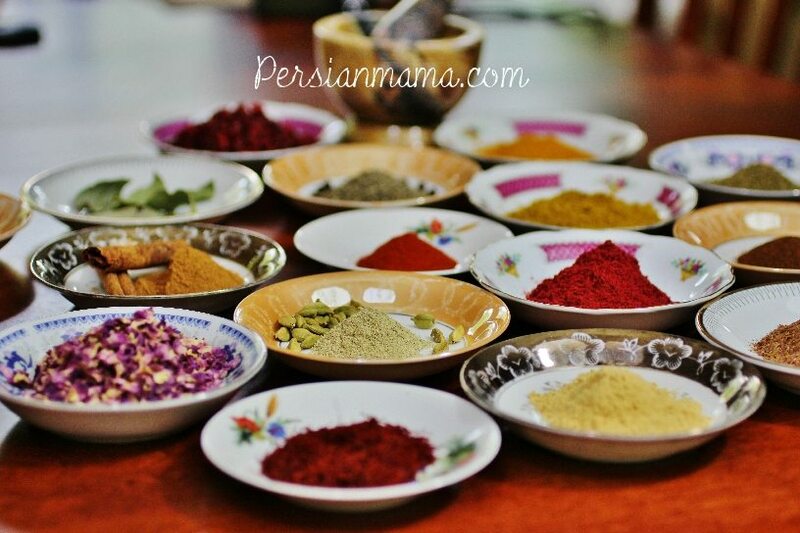 It is one of the ingredients in the Persian rice spice. 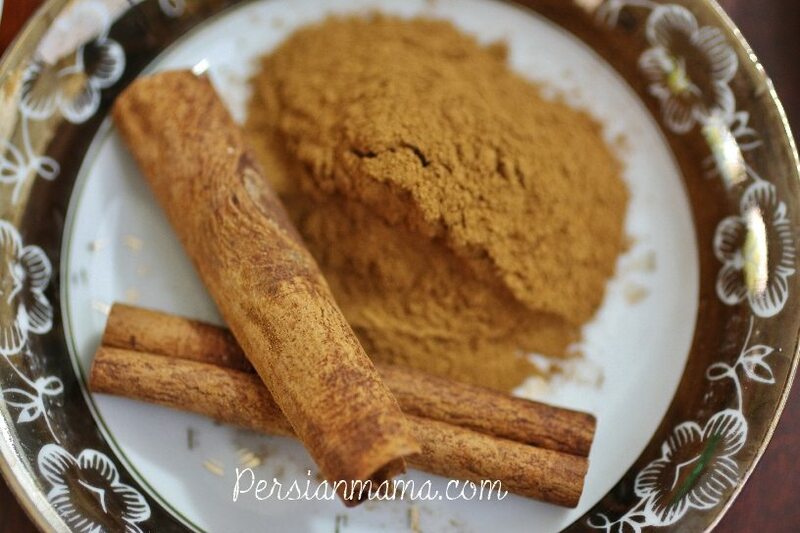 The cinnamon bark is brewed with Persian tea to make the cinnamon tea. Add a few cinnamon barks to your hot cider and enjoy the taste and aroma. It is believed that cinnamon is an antioxidant that improves insulin sensitivity and also lowers cholesterol and triglycerides. So go ahead and sprinkle it on your favorite breakfast cereal, ice cream, rice pudding or even on your buttered toast. 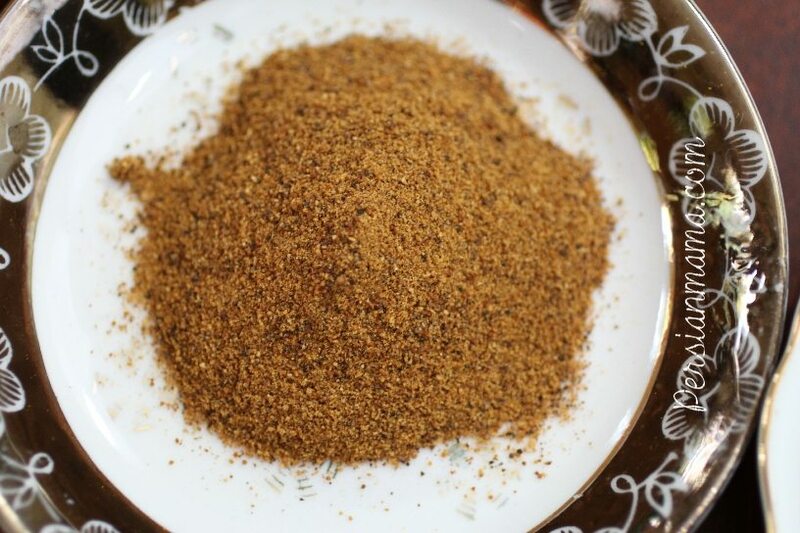 Cumin “zireh” is used as whole seeds, and in powder form, in different cuisines such as Persian, Indian, Northern African and Latin American. Toasting the seeds on low heat enhances the flavor. I find this spice to be incredibly exotic; it has a very distinctive warm, smoky spicy flavor; it is not hot though. Cumin adds a unique flavor to any specific recipe, whether it is in rice, chilies, dips, or hummus. 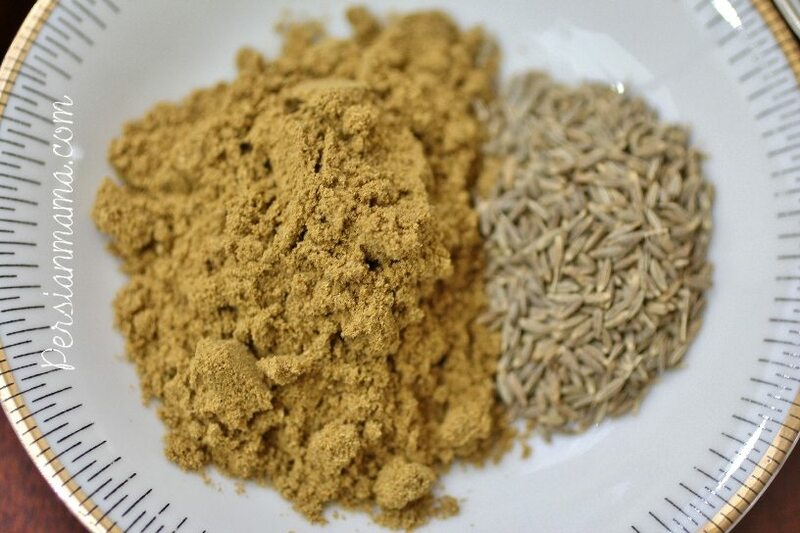 In its powder form cumin is one of the main ingredients in the Persian rice spice, yet the whole seed does wonders for the cumin rice when combined with the black cardamom pod. It is also used in pickled vegetables torshi. Nutmeg “joz é hendi, or joz e booia” is another universally known and loved warm spice with an almost sweet flavor, that is used in sweet and savory dishes. Nutmeg is best used in small amounts to add just the right flavor to a recipe. The dried whole nutmeg can be up to an inch in length; it is a hard, oval shaped dark brown/gray seed with somewhat rough exterior. This spice may be grated with fine graters at home, but it is also sold in spice shops in its powder form. Nutmeg is used in eggnog, and it adds a very nice flavor to bechamel sauce. 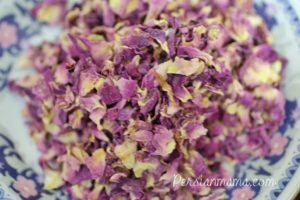 Rose Petals ‘gol é sorkh’: The rose that is used in Persian cooking is from a species of the wild rose (Damask rose, or Gol Mohammadi) that grows only in certain areas of Iran. The other species of the rose family are not used for culinary purposes in Iran. Rose is harvested in the spring and is sold fresh for a short while in the spice bazaar; it is used to make rose jam and it tastes amazing. Later in the season you can only find the dried rose to purchase. The dried rose petals are ground into powder and used as a spice. 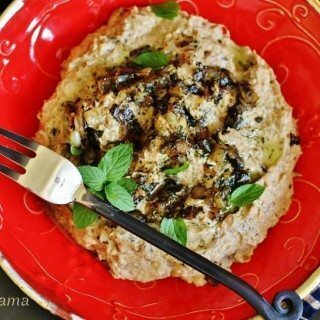 It is added to savory dishes such as Dolmeh Barg, to add a delicate fragrant flavor. It also creates a beautiful color contrast when sprinkled sparingly over desserts and pastries. The Persian rice spice is a valuable addition to your collection of spices, and you will enjoy the versatility of this blend. 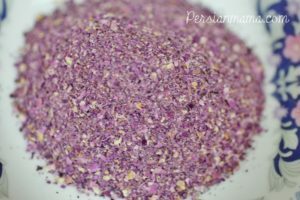 The dried rose petals add a very unique fragrance to this blend and you may purchase them in most Persian and Middle Eastern markets as dried buds, petals, or in powder form. If you have a hard time finding it, go ahead and make this blend without it; you will still love how wonderful this rice spice is. I have tested this by making my Aromatic Rice using a mixture without the dried rose petals and it turns out very tasty and fragrant. Mix all the spices in a small bowl, use a whisk to blend well. Place in a small airtight jar and store in the refrigerator. 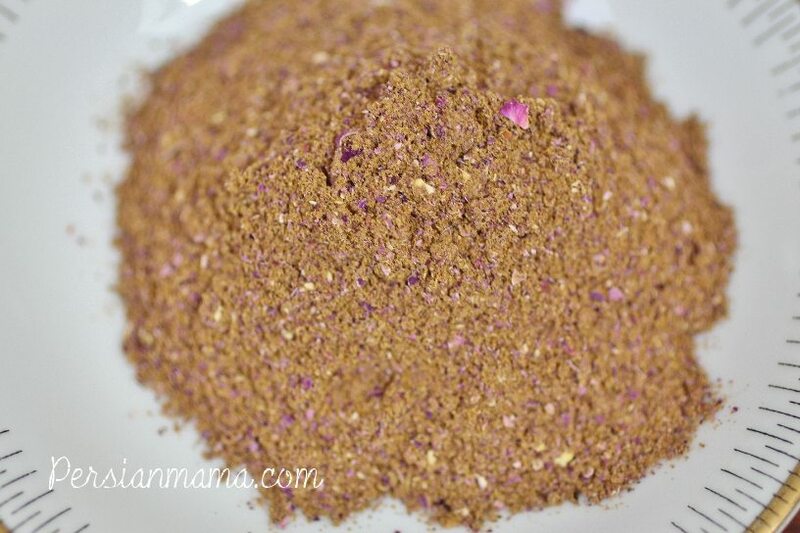 Do you have a recommendation to order the rose petal spice on-line that is acceptable for cooking? Appreciate your thoughts or links. The color of the rose shown on this site is the same as what I get from Iran, which is a culinary rose called, Gol e Mohammadi (Damask Rose). The rosebuds that have a deep red color are ornamental and are not suitable for culinary use. I would really like to hear back from you if you try any of the online products. Do you grind the rose petals in a coffee maker also? No Maryam jan; a regular food processor usually does a beautiful job if the petals are nice and dry. 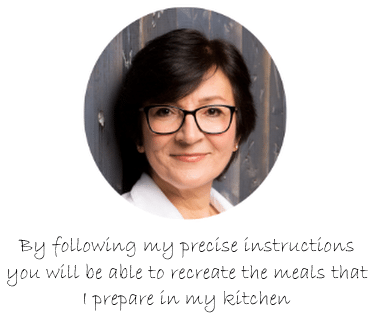 Thank you for sharing, I shall think of you everytime I prepare this! thanks for sharing this wonderful recipe. As I want to make this rice spice as a gift for my father I wonder if you could write the name of the spice in Farsi so I can use it for my selfmade label. Your help is very much appreciated. Let me know if you have any questions. Please keep in touch. میگم این کوفته تبریزی‌ها را تنها تنها نخوریدها! یک کمیش را هم برای ما بذارید!! درود خسرو عزیز ? 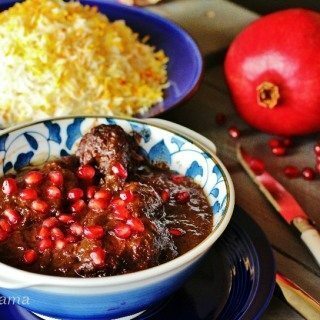 صورت تهیه شو تکمیل نوشتم که همه بتونن درست کنن . امیدوارم بپزین و لذت ببرین . هر سوالی داشتین بهم خبر بدین. ممنون از کامنت شما. 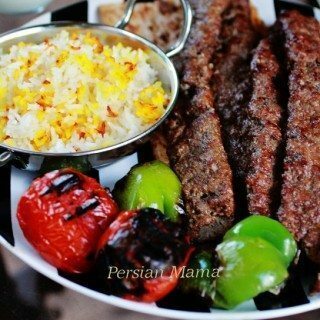 I am a big fan of Persian food and I think your dastpokht is just awesome! I really love this advieh for polow but I do not have gol mohammadi in my country. The only type of dried gole sorkh for cooking that is available in where I live is of the dark pink variety, which I regularly buy from a South Indian spice shop to make my own garam masala (the name for advieh in various Indian languages) for curries and biryani (the Indian versions of khoresh ba polow), as well as for chai masala (another type of Indian advieh, which is used only in tea). Since you mentioned that other types of roses are not used in Persian cooking, I will heed your advice and leave out the gole sorkh every time I make this advieh. Drood Azizam; It’s wonderful to hear from a Persian food fan, especially one who loves my dastpokht 😉 If you’re happy with the flavor and fragrance of the rose that you add to your other spices, you should go ahead and try it in this blend too. I make my own chai masala blend and add couple of rosebuds to the brew 🙂 I really appreciate your kind words and would love to read your comments on my other recipes that you try, please keep in touch!